It’s a trial that is gripping the United States. Self-styled historian William Keane insists that slavery never existed - any ‘proof’ that it did is based on misunderstanding, misrepresentation and faulty memory. He is suing an author for libel over a paragraph in a book where she called Keane a ‘slavery-denier’. Keane’s case is simple. He cannot be a slavery denier as there is nothing to deny. As the trial continues, academics and Holocaust survivors are found dead in mysterious circumstances, libraries containing ancient and priceless manuscripts are burning down and Black Lives Matter protestors clash with slavery deniers. 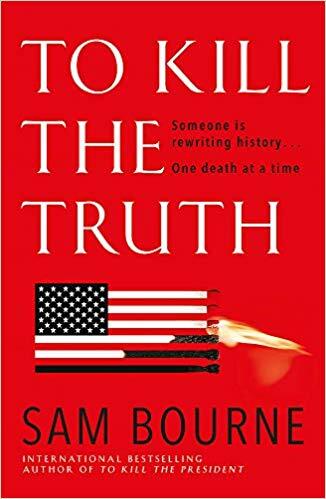 And so, begins Sam Bourne’s latest topical thriller, To Kill The Truth. The premise is exciting and thought-provoking - is there a conspiracy not merely to rewrite history, but to obliterate history, and all evidence of history’s greatest crimes? In comes Maggie Costello, red-haired and Irish and hero of three earlier Bourne books (including 2017’s blockbuster hit To Kill The President). She is a former White House operative who is brought in by the female Governor of Virginia to try to get to the bottom of the killings and the fires before the trial ends. I love Maggie Costello as a character -she has a chequered past, an uneasy present and a very helpful sister. There are, of course, skeletons in her cupboard, but she doesn’t let those get in the way as she goes to hell and back in her quest to find out what is going on and why. Bourne - (real name Jonathan Freedland, Guardian journalist and BBC Radio 4 presenter) throws a lot of contemporary issues and ideas into the mix. Fake news, fake tapes, fake videos, and how easily these can be manufactured. What is fact and what is fiction? How technology - so much part of our lives - can be used against us. For instance, if your mobile phone was wiped, how many numbers would you remember? How much do we rely on technology for our memories and our knowledge? And the big question he asks - do we fight and argue today over blood spilt in past wars... people and events we don’t actually remember, but that history won’t let us forget? Would we, in fact, be better off if we had no history but a totally clean slate? I enjoyed having those questions and thoughts thrown at me between the pages of a pacey, twisty, well-constructed novel I couldn’t put down. Thrilling and thought-provoking - a win-win situation! 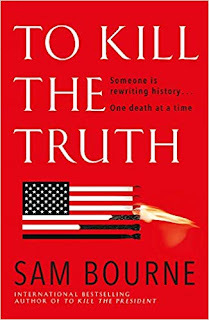 Sam Bourne is the pseudonym of Jonathan Freedland, born 25 February 1967, an award-winning journalist and broadcaster. He has written a weekly column for the Guardian since 1997, having previously served as the paper's Washington correspondent. 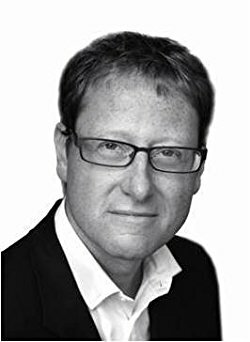 In the annual What the Papers Say Awards of 2002 Jonathan Freedland was named Columnist of the Year. His first novel, The Righteous Men, was a Richard and Judy Summer Read and a Number 1 bestseller. His next two novels, The Last Testament and The Final Reckoning were both top ten bestsellers. He lives in London with his wife and their two children. Mary-Jane Riley wrote her first story on her newly acquired blue Petite typewriter, when she was eight. When she grew up she had to earn a living and became a BBC radio talk show presenter and journalist. She has covered many life-affirming stories, but also some of the darkest events of the past two decades. Then, in true journalistic style, she decided not to let the facts get in the way of a good story and got creative. She wrote for women's magazines and small presses. She formed WriteOutLoud with two writer friends to help charities get their message across using their life stories. Now she is writing crime thrillers drawing on her experiences in journalism. 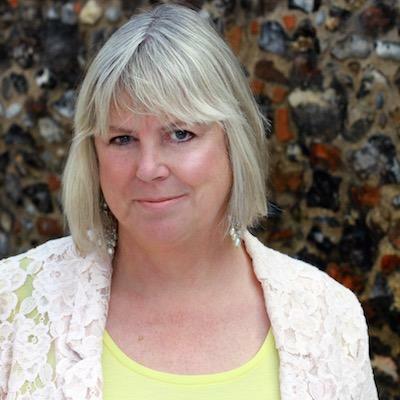 Her third book, set in East Anglia and featuring investigative journalist Alex. Dark Waters, was published by Harper Collins/Killer Reads in March 2018.